All copyrights, patent rights, trademark, service mark, database rights, domain names and other intellectual property rights in all Website Materials, including text, graphics, logos, button icons, images, audio clips, software, presentation of content (including collection, arrangement and assembly) are property of Lions LOVRNET or its suppliers and are protected by English, U.S. and/or international law. Unless otherwise expressly stated, nothing herein shall be construed as conferring by implication, estoppel or otherwise any license or right to use any copyright, patent, trademark, service mark, database or other intellectual property right of Lions LOVRNET or any third party. Lions LOVRNET retains the right to stop making the Website available at any time, without notice to you, at its sole discretion. Lions LOVRNET retains the right to add, delete, change or modify the Website Materials and/or any other features or services of the Website at any time, without notice to you, at its sole discretion. Lions LOVRNET may establish rules and limits concerning the amount, manner and duration of use of the Website. The Website may contain links to third-party websites not under the operation or control of Lions LOVRNET. Lions LOVRNET provides such links as a convenience only and does not endorse and shall not be responsible for the contents of any linked websites. You should review the terms and conditions posted on any linked website before using any services offered by third parties on such sites. It is your responsibility, and you agree to comply with all applicable laws with respect to your use of the Website. Lions LOVRNET makes no representation that the Website or the Website Materials are appropriate for access from outside the United States. If you choose to access the Website from outside the United States you are responsible for compliance with any applicable local law. Encourages conduct that would constitute a criminal offense or give rise to a civil liability, including through e-mails, messages or bulletin board or chat room postings. Post a single article or substantively similar articles to an excessive number of newsgroups (which may, by example, include deliveries to more than 10 newsgroups under certain circumstances) or continually post of articles which are off-topic (e.g., off-topic according to the newsgroup charter, or the article provokes complaints from the readers of the newsgroup for being off-topic) using a Lions LOVRNET hosted domain, or posting such messages through a Lions LOVRNET Service. Send unsolicited e-mails, bulk commercial advertisements or informal announcements (which may, by example, include deliveries to more than 10 individuals) ("Spamming"), whether or not such activities provoke complaints from the recipients. Engage in Spamming and using Lions LOVRNET as a return address point. You are entirely responsible for all content and information you deliver (directly or indirectly) to or through the Website. Lions LOVRNET accepts no responsibility for any content or information posted by users, does not guarantee or warrant any such content or information, and does not undertake to update such information, except as set forth in Section 11 below. Lions LOVRNET reserves the right to delete messages and/or comments posted on this website that Lions LOVRNET considers to be inappropriate. By using the Website you agree that Lions LOVRNET has the right to collect non-personally identifiable information about your visit. Such information may include, without limitation, the number of visitors to the Website, which internet browser you use to access the Website and which domains or IP addresses you come from. You agree that Lions LOVRNET has the right to use this information as it sees fit, including by providing such information to third parties located within or without the United States. 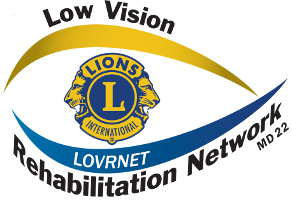 Lions LOVRNET may provide registration forms that relate to the services it offers. The forms require users to give us accurate contact information (like name and e-mail address.) Such personally identifiable information shall be used by Lions LOVRNET for the purpose of interacting with you regarding your use of our services. In the forms, some of the personal information data fields will offer you an election to make a data item public. If you agree, we will allow "who is"-like applications to look up the data. In the event you wish to correct, update or amend any information you have provided to Lions LOVRNET, please email us at info@lovrnet.org. Please note, any information you post in any online forum or chat room will be made available to other users. You should not post any information you do not wish to make public. A cookie is a small data string used to deliver personalized Web content, and may be used to control access to our Website. The cookies used by Lions LOVRNET and third parties advertising on or through the Website are not designed to access or otherwise compromise the data on your hard drive. You can choose to change your browser settings to disable cookies if you do not want us to establish and maintain your user information automatically. Please be aware that cookies may be required to complete certain functions on the Website. 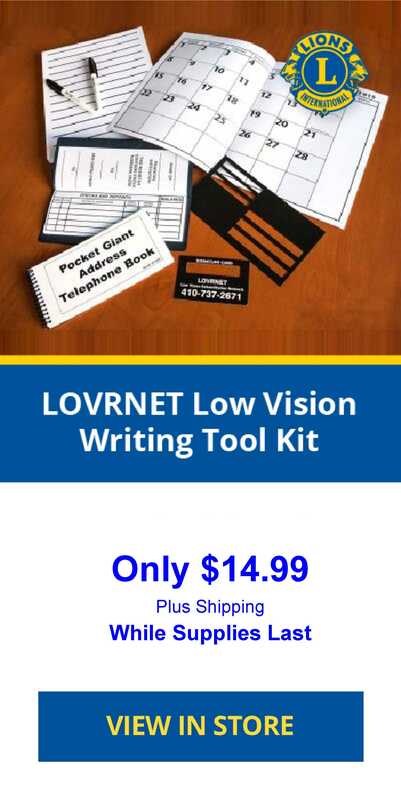 Lions LOVRNET uses commercially reasonable measures to protect personally identifiable information about you from unauthorized access by third parties and to protect against loss, misuse or alteration of information under the control of Lions LOVRNET. You will only receive mailings unrelated to our services if you explicitly request them from us. We will not send you mailings relating to Lions LOVRNET unless you agree, and each message will provide you an option to unsubscribe. The Website is provided on an "as is" and "as available" basis. Lions LOVRNET makes no representations or warranties of any kind, express or implied, as to the operation of the Site or the Website Materials. To the fullest extent permissible by applicable law, Lions LOVRNET disclaims all warranties, express or implied, including but not limited to implied warranties of satisfactory quality, fitness for a particular purpose and non-infringement. Lions LOVRNET does not guarantee continuous, uninterrupted or secure access to its Site, and operation of the Site may be interfered with by numerous factors both within and outside of Lions LOVRNET' control, including but not limited to routine or unscheduled maintenance, failure of electronic or mechanical equipment or communications lines, hardware, software or computer malfunctions. Lions LOVRNET does not guarantee the accuracy, timeliness or completeness of any information on the Website or the results of your use of the Website. Lions LOVRNET does not guarantee that the Website or the Website Materials are free from viruses, worms, trojan horses, cancelbots or other destructive materials. The Website and software programs provide general information, disclosures and guidelines and are not intended as legal advice, or to serve as a substitute for consultation with an experienced attorney or medical professional. The Website, software and any related services or content are designed to operate and provide information with the understanding that Lions LOVRNET and its suppliers are not engaged in rendering legal, medical or other professional service. if legal or medical advice, or other expert assistance is required, the service of a competent professional should be sought. For any medical emergencies, you should immediately consult a physician. You agree that Lions LOVRNET will not be liable for any damages or losses of any kind arising from the use of the Website, including but not limited to direct, indirect, incidental, special, punitive and consequential damages. To the fullest extent permissible under applicable law, Lions LOVRNET' aggregate liability, and the aggregate liability of its licensors, to you or any third parties in any circumstance is limited to $1000. Notwithstanding the foregoing, Lions LOVRNET does not limit its liability for death or personal injury due to its negligence or for fraudulent misrepresentation. You agree that Lions LOVRNET shall have the right to assign its rights and delegate its duties hereunder together with its transfer of the Website to any third party. The validity, construction and performance of this Agreement will be governed by the substantive laws of the State of Maryland, without giving effect to any provisions that would result in this Agreement being governed by the law of any jurisdiction other than that of the State of Maryland. The parties specifically disclaim the UN Convention on Contracts for the International Sale of Goods. Subject to Section 9, the parties hereby consent to the exclusive jurisdiction of, and venue in, any federal or state court of competent jurisdiction located in the County of Anne Arundel, State of Maryland for the purposes of adjudicating any matter arising from or in connection with this Agreement. The parties unconditionally waive their respective rights to a jury trial for any claim or cause of action based upon or arising out of, directly or indirectly, this agreement and/or the use of the Website.